Vice Ganda confirmed on Twitter that ‘Ate Girl’ Jackque will be in his MMFF movie. 'Ate Girl' Jackque Gonzaga will be working with Vice Ganda in his upcoming MMFF (Metro Manila Film Festival) movie Fantastica. Vice revealed the news through a tweet last August 10. “Shooting a scene with Jackie today for my movie Fantastica. Kyooooot to!” he wrote. Shooting a scene with Jackie today for my movie Fantastica. Kyooooot to! Vice also said that the scene will be very cute. 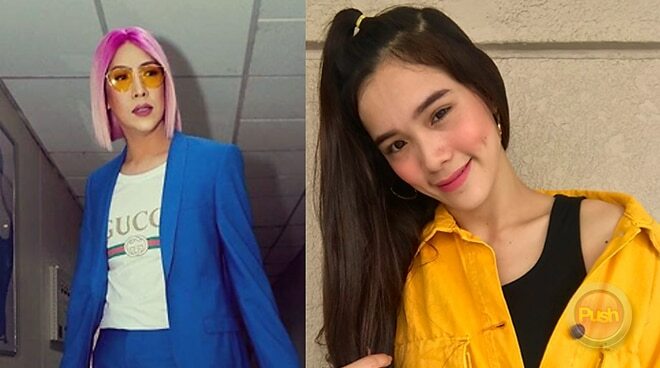 The tweet has gathered likes and comments of excitement from fans of the ViceJack love team. Fantastica is Vice’s movie entry in the upcoming Metro Manila Film Festival 2018. Some of the cast members include Dingdong Dantes, Richard Gutierrez, Bela Padilla, as well as the DonKiss, MayWard and LoiNie love teams. It will be directed by Barry Gonzales.